Collage in general refers to a arrangement of objects to create something entirely new and unique from the original elements used. The simplest of photo collages have a bunch of photos arranged as objects to create a new image that can then be used for a variety of purposes. There are a few applications that make coming up with your ideas to make a collage easier. Most notably Google’s Picasa has an option to make a photo collage but the options are limited. It lets you make a collage quickly and easily but sometimes it doesn’t quite do justice to the photos and you are left yearning for more. You could also look to one of these free online photo collage makers 5 Free Online Photo Collage Makers to Turn Pictures Into Memories 5 Free Online Photo Collage Makers to Turn Pictures Into Memories Putting photos together in a collage is a fun way to put together your pictures. These free online photo collage makers make the process easy! Read More , which are easy to use and produce great results. But if you would rather spend some time and take things into your own hand, you can choose how to arrange the photos and which parts of the photo (if any) should be covered by other photos and other similar subtleties. 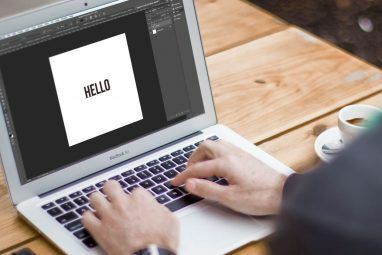 As it turns out, the one program you look up to when you need that extra control and power to express you imagination is Photoshop What Can You Actually Do With Adobe Photoshop? 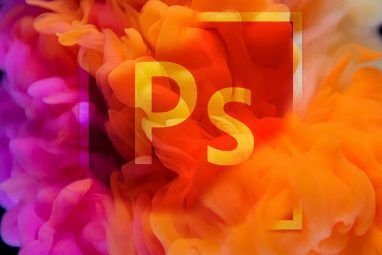 What Can You Actually Do With Adobe Photoshop? 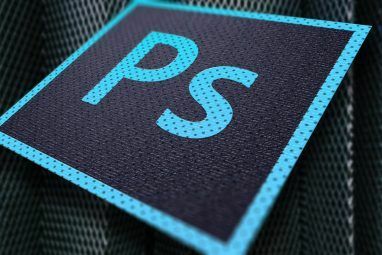 Photoshop can now do a lot more than just edit photos; some of the tools from programs like Illustrator have made their way into the software and vice versa. Read More . So here are the steps you would need to follow to make a photo collage. I am going for a more ubiquitous collage effect, which depicts as if your photos were taken using a Polaroid and then arranged on a table of some other surface. Using the same cues, you can create arrangements and styles of your own to give your collage a truly unique look. First off, choose the photos you would like to make a collage out off. You should always have more than what you are intending to use in case a certain photo doesn’t blend in with the mood and overall look of the collage. Create a new document. Give it the dimensions according to the purpose you want it to serve. I intend to use the collage as a wallpaper on my laptop so I am using 1280×800 as the dimensions. Give it any nice background. I am going for the desktop look so I will be using wooden texture (where to download free textures? Top 10 Sites To Download Free Photoshop Textures Top 10 Sites To Download Free Photoshop Textures Read More ). Open it up in Photoshop. Copy and paste it into the working document. The image will appear as a new layer. At this point you can hit Ctrl + T to bring up the free transform tool to resize the pasted image if it is larger than the document. You are now set to pull in your images. Go to File > Place… and browse to the photo you want to place into the collage. Photoshop will place it in the center of the document and give you a frame around it. Now this is where you get creative. Feel free to move, rotate and resize the photo just placed. Now its time to add some layer styles to give the illusion as if the images are really lying on the table. Double click the photo layer. Add a drop shadow and a stroke. Refer to the images below for the settings. You can of course play around with these and use different values. Go ahead and add as many photos as you like, repeating step 3 for each one as you add them. To duplicate the layer styles you can hold the Alt key and then click and drag on the “fx” icon and then drop it onto the new layer to copy the layer styles. Here is the finished collage that you’ll get. The great thing about this technique is that you can move and re-orientate the photos any time you like. You can even add more and remove some of the photos if you so please. You can try a different background image that we used in step 2. You could add captions to the photos. This would require adding a blank space to the photo having the same color as we used for the stroke. You can then type in blank area to give captions to your photos. You can use the warp tool to warp in a corner or two of the photo to give it a more realistic look. You can go for a whole new look, arranging the images in rows and columns and overlaying it with another image. There are endless possibilities and I can go on and on about them. How about you chipping in a few ideas? We would love to hear about them. I always like to make grid collages, so that there are no spaces between photos. Just dragging in photos creates the layers, like you suggest, then you can use the transform tool to get all the variously-sized and -dimensioned photos to fit together. Kind of like a Mondrian with pictures! Perfect! This is what I am looking for! Thanks!